Our Flat-Rate shipping has two levels of service. These rates are valid in the 48 contiguous states (US only). Shipments to Alaska and Hawaii are not included. This product ships with basic freight for free. Basic freight means the freight company is not responsible for carrying the product into the building, unloading the package from the truck, or assembling your purchase. The customer is responsible for moving the item off of the truck. For heavier items, we strongly recommend you have the appropriate assistance available at the time of delivery. The product will be lowered from the truck to the ground for the customer to move. The freight company is not responsible for carrying the product into the building or assembling your purchase. Larger products may not fit entirely on the lift, so the customer may be required to assist in lowering the product to the ground. For heavier items, we strongly recommend you have the appropriate assistance available at the time of delivery. 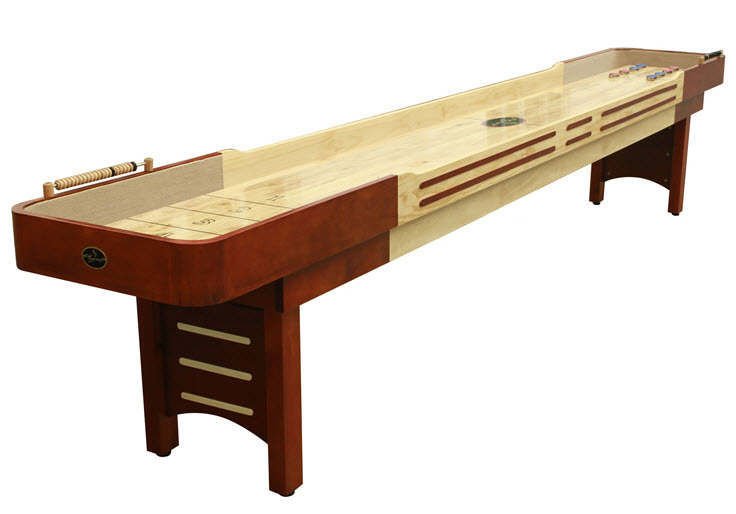 Billiard felt is optional, however, most of our customers choose to order pool table felt with their pool table so that everything arrives at once. We carry the industry standard Novalan Billiard cloth in 3 grades so that you can receive exactly what you would like no matter what range of price and quality you are looking to achieve. There are 3 types of cloth to choose from. All cloth is teflon coated for a longer life and easy cleaning. The Leisure series is a 19oz cloth and is great for most of our customers playing recreationally, Premier is a grade higher and a thicker 22oz cloth which is preferred by commercial clients who's tables receive higher amounts of play and are looking for higher amounts of action or English. Our Eliminator series of cloth is 100% worsted wool and is the highest grade of billiard felt available for maximum playability and a truly premium look and feel. Eliminator is only available in tournament green, dark green and burgundy.